Following a joint resolution in Congress, President Harry Truman signed it into law in 1952. Every President since has signed a proclamation observing such a day. 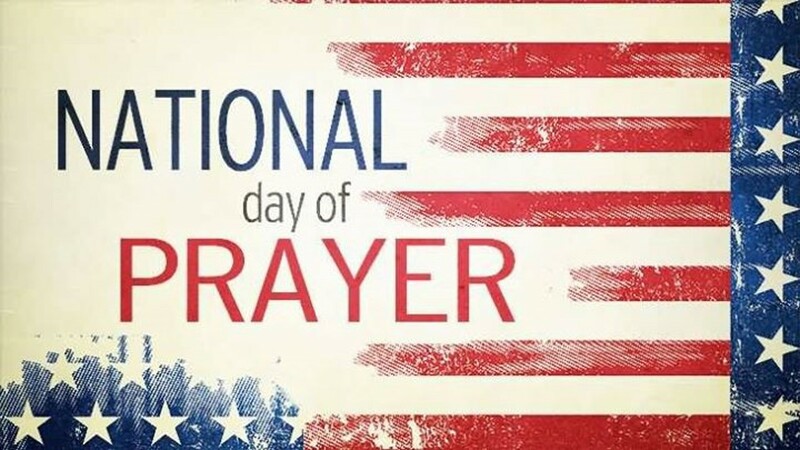 In 1988, President Reagan with unanimous consent of Congress designateded the first Thursday of May to be the annual day of National Prayer. Today it is easy to “lose heart” when we see a nation divided by political posturing, moral values, and personal opinions. In fact, having a National Day of Prayer is divisive. God promises to hear the prayers of the righteous (Prov 15:29). And God answers prayer. Maybe not in the way that we always desire. But He knows what is best for us and his ears are open to our pleas. (1Pet. 3:12). The apostle Paul urged Christians in a decadent society under a corrupt government to pray. “Therefore I exhort first of all that supplications, prayers, intercessions, and giving of thanks be made for all men, 2 for kings and all who are in authority, that we may lead a quiet and peaceable life in all godliness and reverence. 3 For this is good and acceptable in the sight of God our Savior” (1 Tim. 2:1-2). Today pray for our national, state and local leaders. Pray for peace. Pray for a spiritual awakening. Pray for our military and first responders. Pray for God’s Word to his free course in the hearts of receptive seekers. Pray for gospel preachers to boldly proclaim the Truth. Pray for our churches to pursue God’s divine purpose. And pray for families to honor God, His Word, and His way. And finally, pray for yourself and your family’s steadfast faithfulness. Thank you for a moving message….